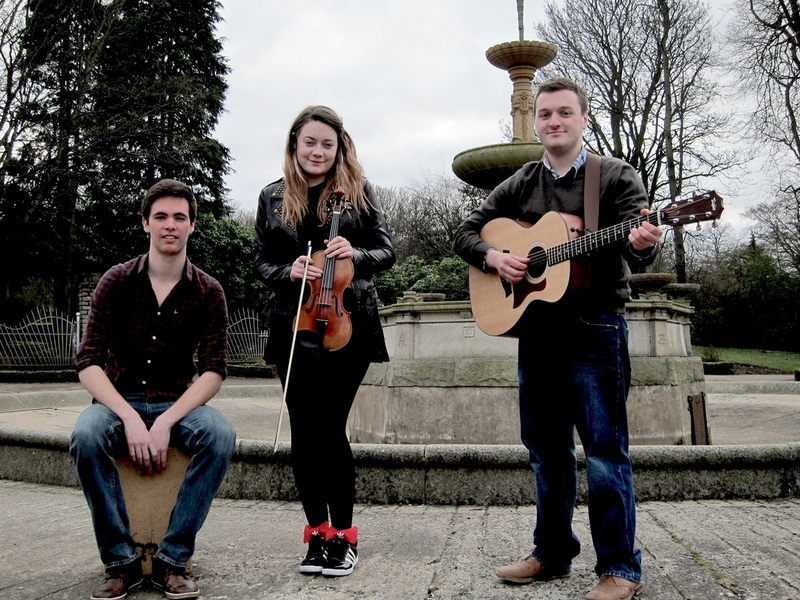 Ghillie Dhu is a Scottish ceilidh band based in Edinburgh and Aberdeen. 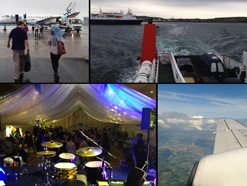 Now in our 8th year, we have been growing from strength to strength, performing at a wide range of events throughout Scotland and abroad. TEST TEST Scottish Ceilidh Band 'Ghillie Dhu' play an original fusion of Trad and Modern Folk Music that has been exciting audiences around Scotland since 2007. Based in Aberdeen and Edinburgh, but working throughout Scotland, Ghillie Dhu are available for Weddings, Birthdays, Student and Corporate Events, or for just good old fashioned live music. 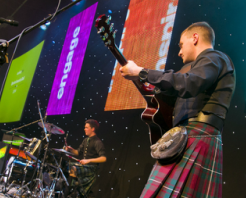 Ghillie Dhu offer a high-quality and professional service suited for any event. In ceilidh band mode, the band offer everyone's favorite dances from the Gay Gordons to the Orcadian Strip the Willow. All dances are clearly explained with step-by-step instructions, so everyone can join in on the fun. As well as ceilidh dances, the band also offer folk-arrangements of popular covers, ranging from Kings of Leon and ACDC, to Mumford and Sons, Coldplay and Calvin Harris. 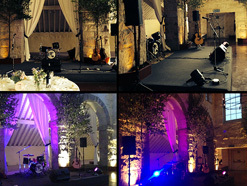 All necessary Sound Equipment is provided, with a dedicated sound engineer available on request. Ghillie Dhu aim to set up all equipment during the day, before the event starts, resulting in your evening running that bit smoother. They aim to please with sound, ensuring quality rather than volume, so no one is left with sore lugs after a great night. Hi everyone, quick update from the band. We're just coming to the tail end of the wedding season and what a fantastic period it has been! This summer has been the first time we've virtually sold-out our weekend slots for June-Sept! After a quick holiday to recharge the ceilidh-batteries, the band are now raring to go for the winter holiday season. We have a bunch of exciting events coming up including the massive Hogmanay celebration at the Corn Exchange, Edinburgh - the biggest indoor new-years party in the capital! We've also just played our largest ceilidh to date, playing to a sold-out Aberdeen Exhibition and Conference Centre. It was an absolute blast and seeing such a wave of folk ceilidh'ing was very special for us. We filmed and recorded the night so please check out our Youtube channel for a few bits and bobs. As ever, we are so thankful for such a fantastic response and we have been delighted with recent feedback from our clients. Thanks folks!